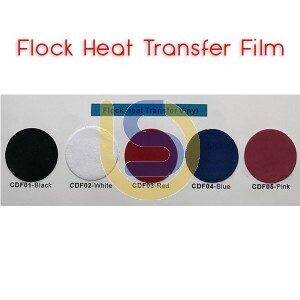 This is premium quality flock vinyl film for thermal transfer on shirts or any fabric. Suitable for any vinyl cutters. Onces finish, it feels like fabric. Made in Korea - guaranteed high quality, easy to use.